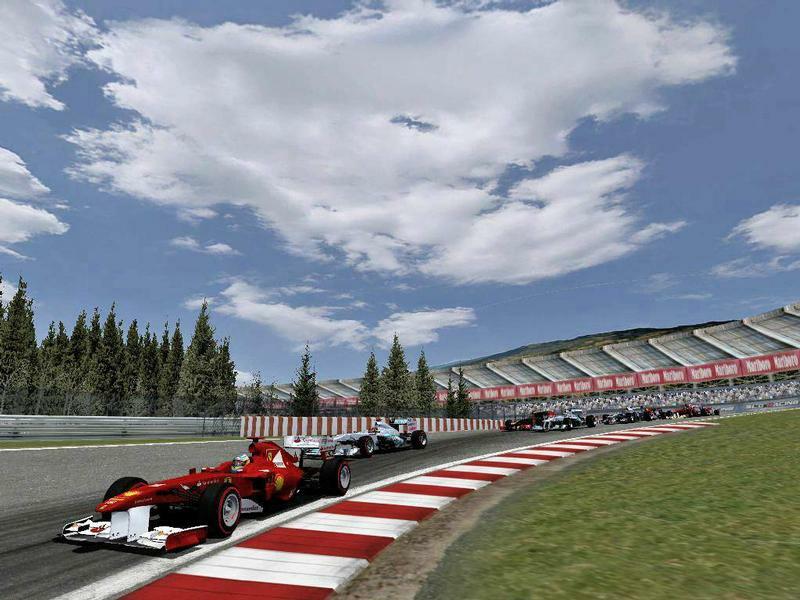 The SloRacing Park is fantasy rFactor track designed especially for Formula 1. 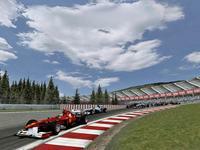 The circuit was named by the best Slovenian virtual racing league called ''SloRacing''. Track is based on very fast, long corners mixed up with few slow sections and long straights. You can also find some copies of famous F1 corners such as Eau Rouge, Estoril and Istanbul's eight turn. Region arround the track is surrounded with Slovenian beauties of the nature – biggest mountain in country called Triglav, beautiful Bled island and so on. This is the track you simply have to try it. There are currently no setups for SLORacing Park. Add a Setup. Really good track. Fun to drive and remembers me the best sections of Spa, Magny-Cours, Interlagos, Montreal, etc. Maybe too much buildings around and the kerbs are too wide, but those thing don't take away any of the fun and excitement. Really good job! I was about to post, but this pretty much say what i was about to say. I don't usually go for fantasy tracks, I don't usually post comments, but this track deserves congratulations and to be driven. Wonderful job. Real world track designers should learn from this! Some familiar corners from great tracks, but they feel new again. I'll be driving this one a lot.